“Back in the day” I used to use EndNote as a literature database – this, together with a precious photocopy card, a sturdy filing cabinet and a supply of yellow markers made for a fairly robust method of filing and tracking interesting papers. Of course these days it’s all different – now we have online journals, vast abstract databases, full-text searching and the like. In fact it’s almost too easy to acquire a possibly vaguely relevant paper – the need for a good archiving methodology is paramount! I stuck with EndNote for a while, and started storing PDFs of my articles there. But, gradually (and more rapidly when I started to switch from Windows to linux! ), I started to look for something (a) less bloated, (b) free/open source and (c) cross platform. Around the time I moved to Austria, I made two significant (to me) discoveries – one was Evernote, but I’ll talk more about that another time. The second was zotero. It started life as a firefox plugin, but now also works as a standalone product via the XULRunner framework. Effectively zotero helps to collect references (it scrapes the pages of common journal websites and catalogues to extract information about an article and create a database entry) and attachments (mainly journal paper PDFs), and make them searchable, indexable etc. The great thing is that zotero syncs with a remote service, so that all my computers have the same literature database, and it’s also accessible via the zotero website. Even better, the associated PDFs are also sync’d, either via zotero or any WebDAV service (I use Amazon storage via JungleDisk‘s legacy WebDAV interface). The only downside of this route is that the website doesn’t automatically provide a link to the document on the WebDAV server (which is zipped up and stored in an automagically named directory). Since these days everyone carries any number of internet accessible devices (or is that just me?!) it would be really nice to be able to access the latest and greatest papers on the move (to read with a phone, tablet or ebook reader, for example). ZotFile is an excellent zotero plugin for this – it has various functions, but the most useful to me was syncing PDF attachments between zotero and DropBox (from whence I could read and annotate them on my phone/tablet). My usage case is that I tag articles that I want to read with “To read” and then simply filter my zotero library by this tag and use ZotFile to sync this set of files to DropBox. 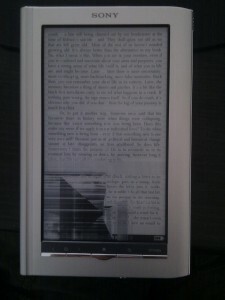 I tend to use ezPDF Reader to read and annotate – it’s a bit fiddly on a phone, but works very well on my Nook Color. Today I also stepped up and bought zandy, one of several new 3rd party mobile apps that work with zotero. Zandy syncs with zotero, and also with WebDAV storage servers, meaning that now I can access my entire library and associated PDFs directly from my Android devices! The app is fairly new, and still under development – some features not yet included, but on the way, include browsing of tags and saved searches. Another addition I would like would be batch downloading of attachments. I still haven’t worked out the best workflow with my new Sony PRS-T1 (to replace my sadly broken and hard-to-replace PRS-950) – either I use ZotFile to push PDFs directly to the device, or I root the ebook reader (which is based on Android) and install DropBox (which is known to work) or perhaps even zandy. In any case, it’s a far cry from the start of my PhD – now I have a complete set of searchable, tagged, organised papers accessible from anywhere. Of course I’ve only scratched the surface in this post – zotero is a powerful tool which also allows note-taking, collections, group collaboration and has word processor plugins to allow easy insertion of references and formatted bibliographies. So that’s how I work – anyone have a better workflow? This entry was posted in Science, Technology and tagged academia, journals, open source, zotero. Bookmark the permalink. 2 Responses to "zotero, zotfile and zandy – publication syncing heaven"
I also have a sony prs t1 and I’m starting using Zotero. I’d like to sync the highlights and notes of the ebook reader with zotero, how can you do that ?